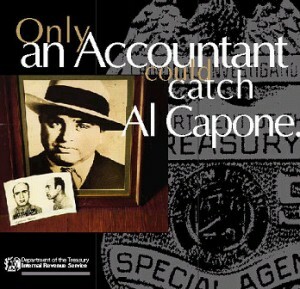 While the history of forensic accounting can technically be traced back to ancient Egypt, the most notorious cases involving forensic accounting begin in the early to mid 20th century with investigations into the criminal activity of mobster Al Capone. The term ‘forensic accounting’ was not officially coined until 1946. The term was originally seen in an essay by Maurice E. Peloubet entitled “Forensic Accounting: Its Place in Today’s Economy.” Forensic accounting has become increasingly important in the years since the term was coined with growing complexities in financial markets, the tax code, and the increasing globalization of business. Forensic accountants need to be familiar with an impressive variety of fields. A forensic accountant must not only understand accounting and investigative techniques, but must also have a working knowledge of economic theories, business practices, financial reporting, data analysis, e-discovery, litigation, and more. A forensic accountant must be able to make sense of complicated financial documents and must be able to readily pick up discrepancies. While forensic accountants are trained in accounting and generally take the C.P.A. exam, they sometimes must undergo additional training in subjects such as sociology, psychology, law enforcement, criminal law, business law, and more. Within the last decade or so, new professional designations have been created for forensic accountants. For example, since 2001, the American College of Forensic Examiners International has been offering a Certified Forensic Accountant (Cr.FA) designation. In today’s world, large companies may rely on forensic auditors even before they find themselves in a legal battle. Have forensic accountants or auditors look over company books can help prevent legal problems from arising because a financial obligation or liability has not been satisfied. In an actual case, forensic accountants might examine company receipts to verify reported revenue or examine company financial statements to judge whether or not they provide potential investors with accurate information. Forensic accounting procedures involve the examination of a wide variety of documents, including financial statements, transactions with both clients and investors, tax documents, and more. A forensic accounting report in a court case will be given using court-approved language and structure. Forensic accountants combine the fields of accounting and law to get to the bottom of financial disputes, and they must understand a variety of different fields involving financial and legal practices. They have become increasingly important in recent years in light of large corporate scandals such as the Enron scandal.